The case, in titanium, measures 45mm x 18mm. It has a sapphire crystal and it is water resistant to 50 meters. Movement is the Swiss automatic ETA caliber Valjoux 7750 with 25 jewels, 28,800 vph and a power reserve of 44 hours. It has a gray gradient dial with luminous hands and markers. White Arabic numerals. Circular pattern sub-dials. 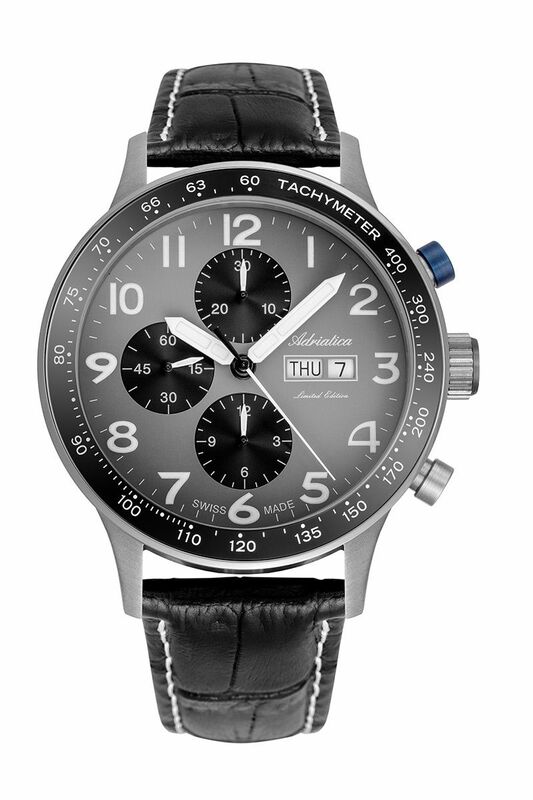 It comes on a 22mm black leather strap with white contrast stitching and a titanium buckle.